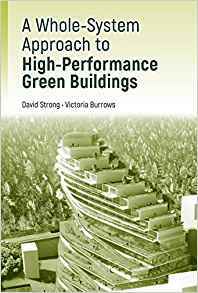 This authoritative new resource provides a comprehensive review of the current approaches to the design and construction of sustainable buildings. This hand-on guide features global case studies with practical examples of both successful and unsuccessful designs. The whole system approach to integrated design is clearly presented. This book includes insight into designing for the future, including design quality and future proofing, intelligent buildings, and whole life value. Nature inspired sustainable designs that can be mimicked in the construction industry are presented. Technical challenges such as energy efficiency, design, and computer modeling are explored along with various construction phase opportunities.